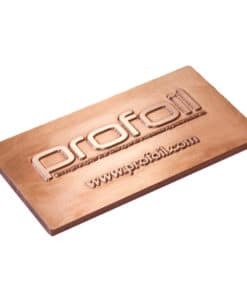 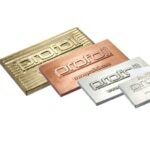 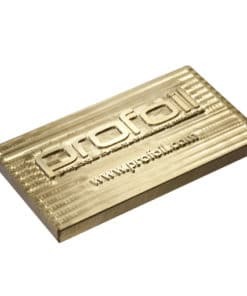 Profoil manufacturers foiling dies in-house using advanced etching and CNC production processors. The result is high quality, precision detail foiling blocks ready to be used in hot stamping. 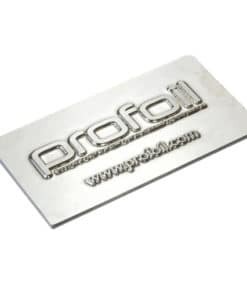 You can order online fast and upload your artwork using our self-ordering system. This efficiency helps us provide a great service at value for money prices. 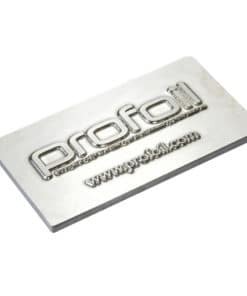 Next day delivery service is available in the UK and International Express Saver options too. 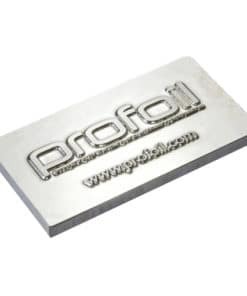 Please carefully select the stamping die material required from magnesium, brass or copper and the correct gauge size for suitable foil blocking methods.